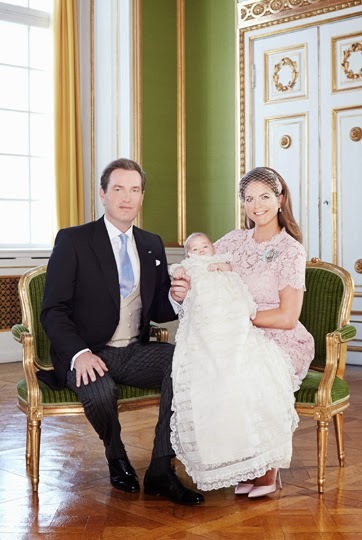 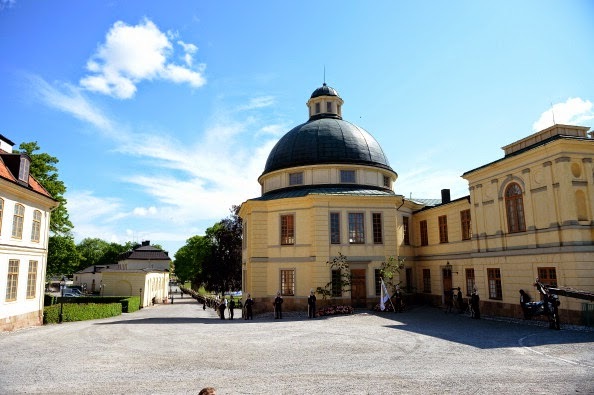 Today, on her parents' first wedding anniversary (you can read my post on the wedding here), Sweden's Princess Leonore, the daughter of Princess Madeleine and Chris O'Neill, was christened in the palace chapel of Drottningholm, Stockholm. 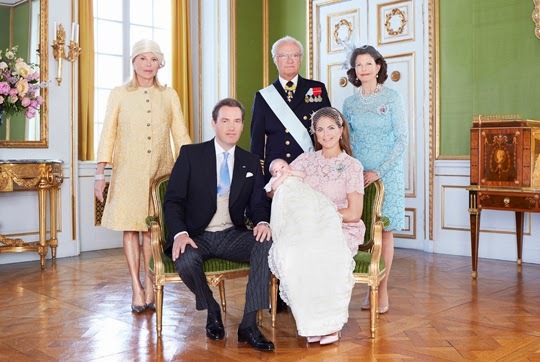 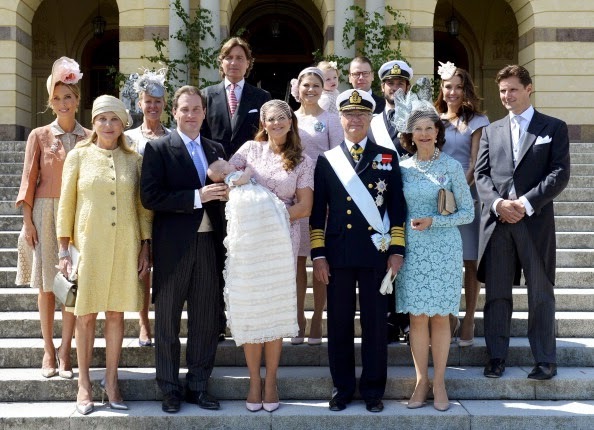 Princess Leonore's cousin, Princess Estelle, was christened a little over two years ago, on 22 May 2012 at the Royal Chapel in Stockholm. 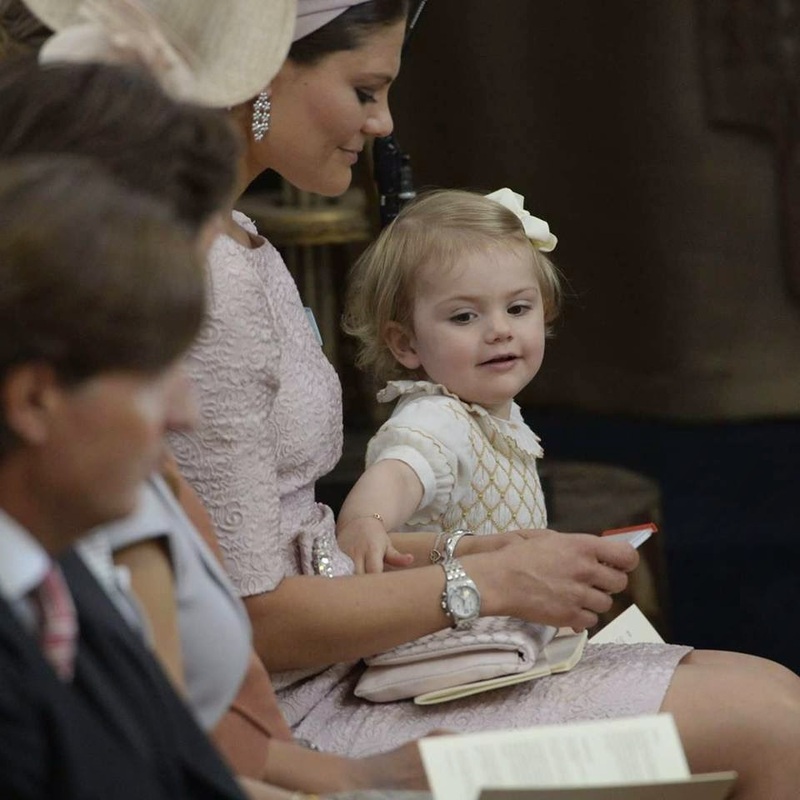 Princess Madeleine attending her niece's christening. 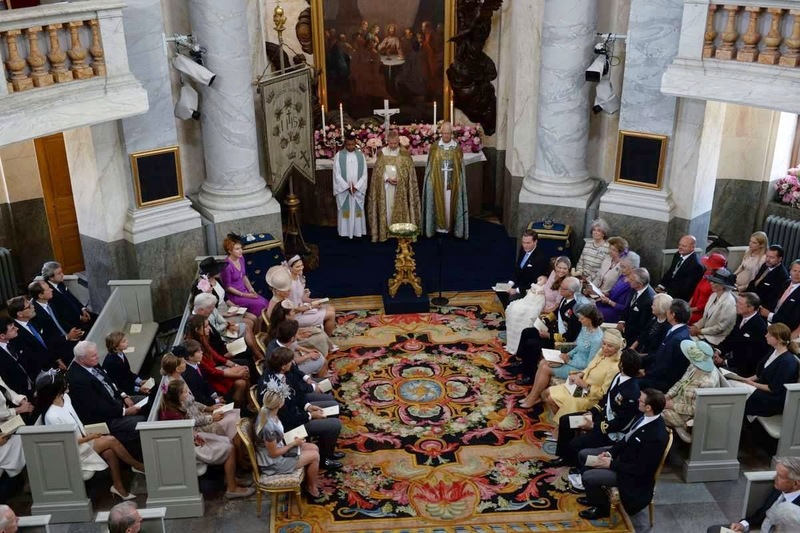 The Archbishop of Stockholm, Anders Wejryd, officiated. 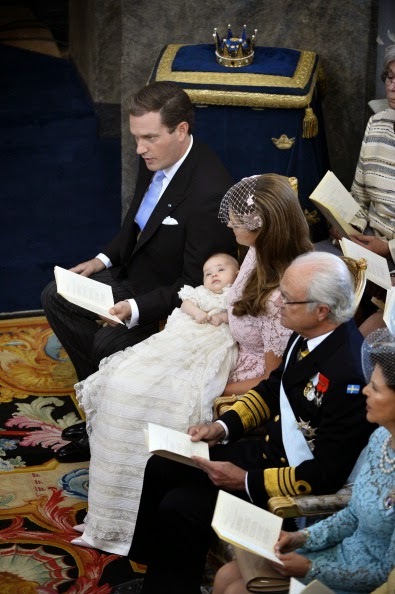 The adorable little Princess was kept calm during the ceremony with a pacifier (photo via Daily News about Crown Princess Mary of Denmark on Facebook). 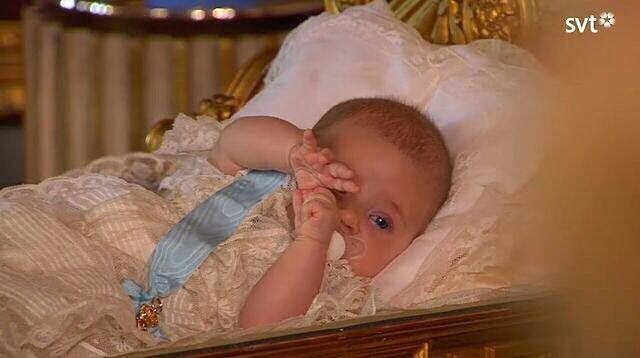 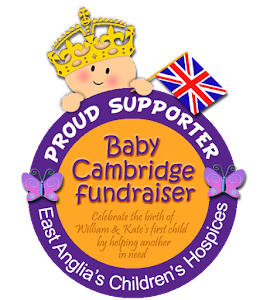 I adore the miniature Order of the Seraphim the Princess is wearing on her christening gown! 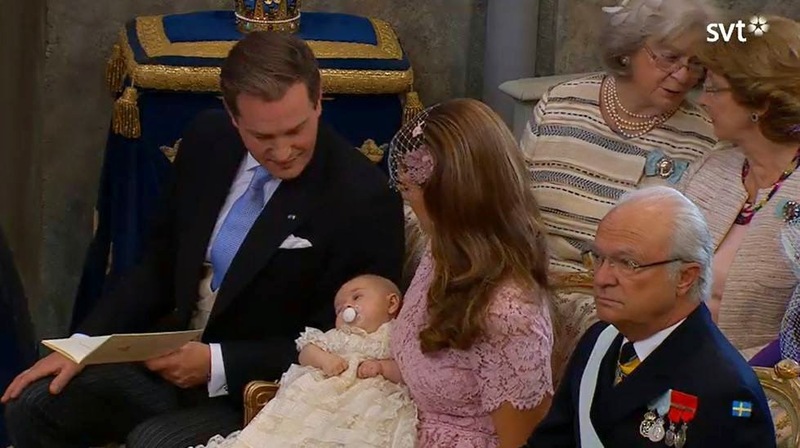 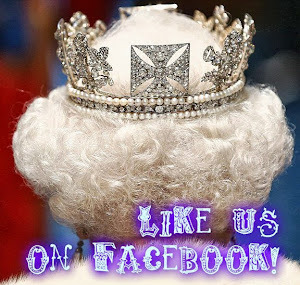 (via Prince Carl Philip of Sweden - Fans & Friends on Facebook).